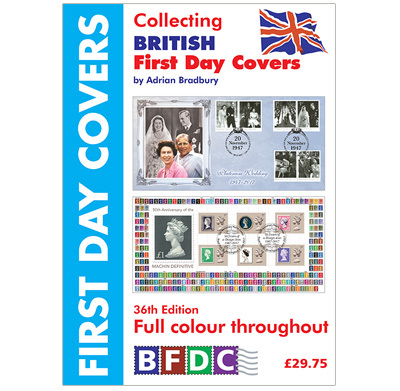 Value your collection of British First Day Covers with Collecting British First Day Covers. Compiled, designed and edited by Adrian Bradbury, it is the most comprehensive catalogue available. The latest 2018 edition is shown above and costs only £29.75 + (£2.95 postage) representing exceptionally good value. 288 pages crammed with hundreds of pictures of postmarks and covers - and all printed in FULL COLOUR on quality art paper. It is the only book of its kind to have been published annually since 1981. The catalogue includes details of all covers produced for British stamp issues from the 1840 Penny Black up to the 2018 RAF Centenary issue. The catalogue is NOT my price list, but a comprehensive guide to the first day covers which have been produced over the years for British stamp issues. 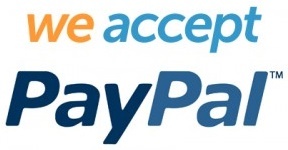 If you wish to be in the know about British FDCs this is a must - you will not be disappointed! "Excellent value, nothing else on the market comes close to this 288pp volume"